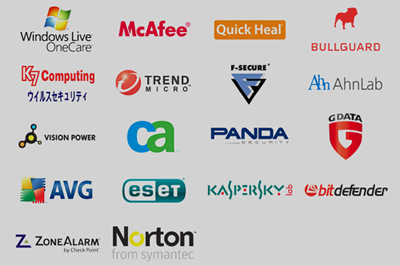 Computer Doctors have the lowest price virus removal around. Computer Doctors not only repair the viruses on your computer but also put preventative measures in place so your less likely to get viruses again. Computer Doctors not only remove viruses but remove adware, spyware and root kits at the same time. Computer Doctors repair OS damage if available. Computer Doctors test to see if virus damage has been done to the OS and puts virus repair cost towards a back up & reload if necessary. Computer Doctors give a free diagnosis to give you an upfront cost. Data can be backed up even if the computer does not boot into Windows. Trust the Tampa Computer Doctors for all your virus removal needs. 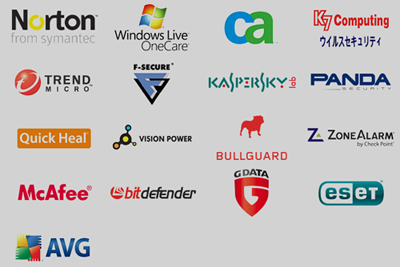 Computer Doctors work with the following companies to keep your computer safe.